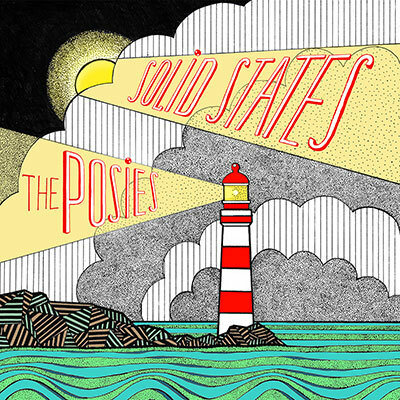 Entrez votre adresse e - mail pour The Posies nouvelles et mises à jour liées. From the very beginning, the band sired a succession of classic LPs – including the now seminal "Dear 23" and "Frosting on the Beater"– that served as joyous rejoinders to a generation mired in grunge. And yet, for much of their history, the band has been playing a game of genre tag semantics, dodging facile and limiting descriptions like “power pop” and “retro pop” — terms which initially greeted their 1988 debut, "Failure". “There are so many influences and styles woven into what we do and we’ve never made the same record twice, not even close to it,”adds Auer. 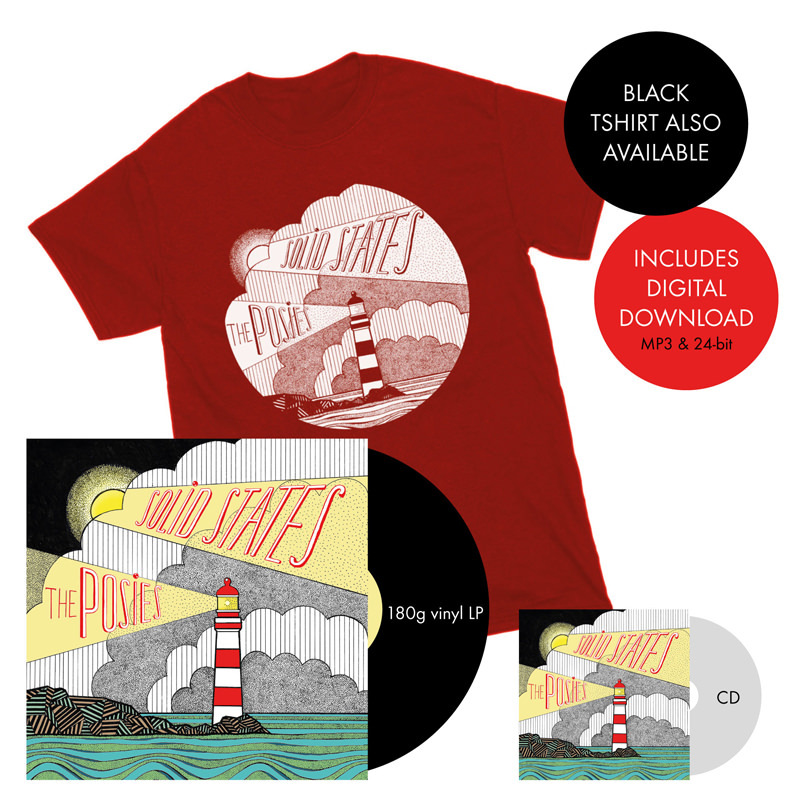 Following a professional and personal split between Auer and Stringfellow at the end of the ‘90s, the second act of The Posies’ career began with 2005’s triumphant reunion effort, "Every Kind of Light". The group’s first studio album in nearly a decade was a musically plangent and lyrically politicised album — informed heavily by the foibles of the Bush Administration and the Iraq War – that reintroduced The Posies to the world in grand fashion. The band released an acclaimed album "Blood/Candy" in 2010, recorded in Spain in a furious ten day session. In the ensuing years, the band members pursued various projects on their own. Ultimately, the magic of The Posies lies in the special chemistry between Auer and Stringfellow. Like any great partnership, it’s one that’s had its ups and downs, stops and starts, over the years. But those experiences have simply served to strengthen the bonds between them. With SOLID STATES, their 8th album, the Posies marks dramatic changes in the lives, the music, the evolution of the band. The title is a contradiction that reflects life: we see life as an unbroken thread of continuity; but it's really a swirling mass of fragments… moments appear to be solid, but they vanish. Change is constant, and we spend energy trying to hold on to a particular way of being or an experience, even when we know it's futile. Jon and Ken, each active producers in their own right, created this music in their respective home studios, by sending tracks to each other, adding drums later in the process on top of electronic soundscapes. Ken certainly is more of a keyboardist these days, and in fact on the album it's rare that a song is carried by a strumming guitar and Jon is found here playing more synths and keyboards than ever before. The guitar is used more as a lead instrument or effect. The drums were added in sessions in L.A. with Frankie Siragusa, and in Kansas with Kliph Scurlock. Kliph was the drummer in the Flaming Lips for years, and shares a love of the band Big Star with Jon & Ken. Frankie is yet another producer, having mixed Ken's last solo album "Danzig in the Moonlight"; his first instrument was the drums. Frankie also mixed several of the songs on SOLID STATES and will be joining the band for the tours. The album was mixed by Tony Hoffer (Midlake, M83, Air, Beck, Belle & Sebastian etc), Willie Linton (who mixed a favorite song of Ken's, "God's Whisper" by Raury), Keith Armstrong and Frankie. The album opens with "WE R POWER" ... a resistance anthem ... in fact, much of the album comments on the corruption and abuse of power that oppresses us all while bearing a smiley emoticon on its face. "WE R POWER " is a kind of 60’s organ flavoured electropunk; we feel the Posies coming at us from a different perspective than ever before. "UNLIKELY PLACES" and "ROLLERCOASTER ZEN", both whose lyrics were written after the passing of Darius, explore the uncharted personal depths and unknown quantities of dealing with such profound bereavement. "SQUIRREL vs. SNAKE" is a state of the 'dis­union' in the USA and beyond... the disharmony, the threats to intellectual freedom, and the cynicism and lies we take for granted now in the age of doublespeak. The last song "RADIANCE" closes SOLID STATES on a note of hypnotic uplift, a psychedelic indie spiritual of sorts, bursting with driving rhythms and a mélange of instruments, voices, and noises not found on any Posies release previous. Of course, the Posies still retain their legendary melodic abilities, their trademark vocal harmonies and their lyrical agility. The band has always been exploring, growing. The multi­year gaps between albums are typically spent in countless other projects that bring new skills, sounds, experiences and people to the picture. The band will present the album live in a new format, incorporating laptop elements along with guitars, keyboards and drums. As artists, the band feels it's their duty to take risks and explore. 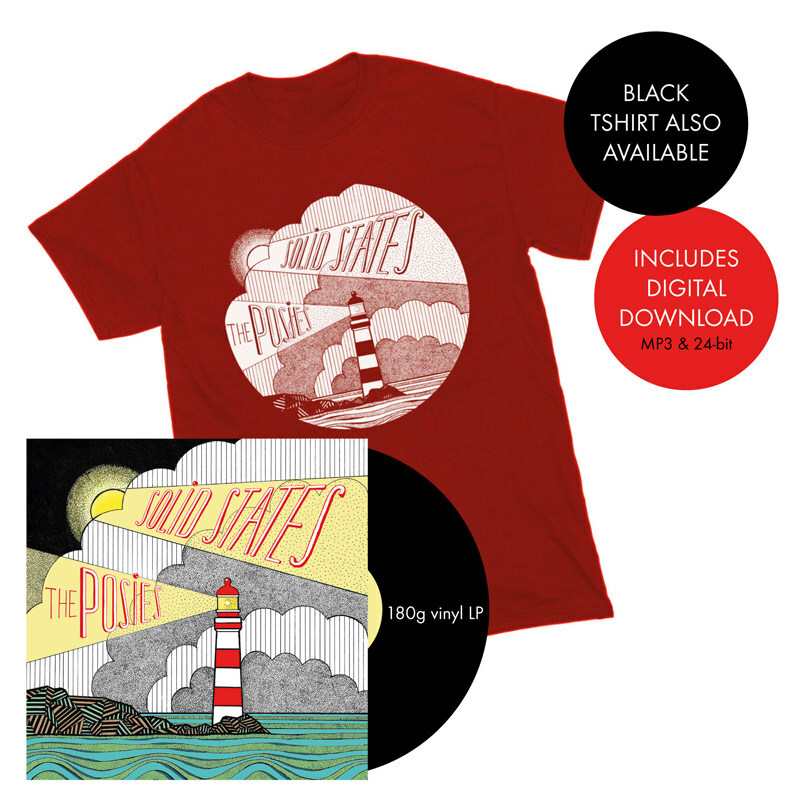 Solid States will be released on heavyweight vinyl LP, CD and digital on British indie Lojinx on the 29th April 2016 in Europe and on 6th May in Australia and New Zealand. 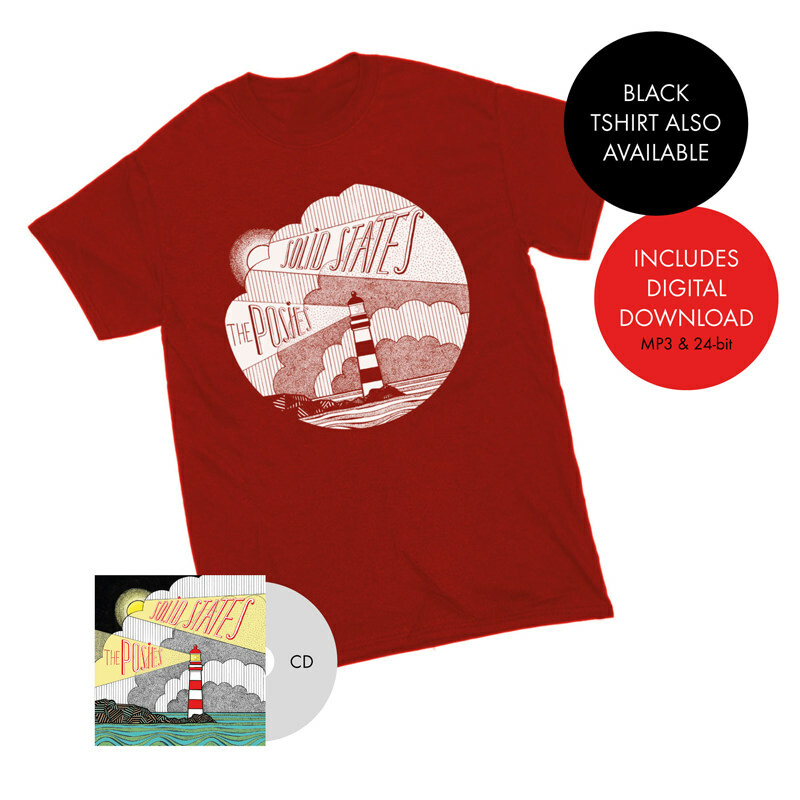 A pre-release tour edition, with bonus download tracks, will be available exclusively at live shows in Europe throughout April.